Silicon Valley's latest trend for creating new ventures is based on trial and error: test market needs with new product concepts and a minimum amount of capital, expect that the product may not meet the market need, so fail fast and try another product with the hope that a product-market fit will eventually emerge. But this fail fast, step-and-pivot philosophy is like taking a random walk in the forest without a compass. If You Really Want to Change the World is about helping entrepreneurs find true north. Henry Kressel and Norman Winarsky-technologists, inventors, and investors with stellar track records-provide a guide for those who wish to create a market-leading company that will have a real impact: a disciplined and staged approach they have used to launch, invest in, and develop scores of highly successful companies. 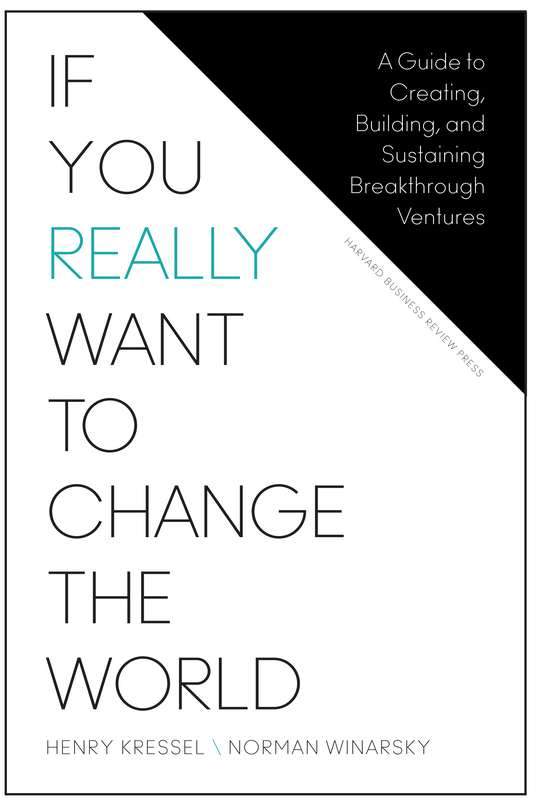 If You Really Want to Change the World leads entrepreneurs through the critical stages of venture development, from concept to acquisition or public offering to maintaining a rich culture of innovation in the company. It is a guide by innovators for innovators, with approaches that are practical and timeless.